The crew all went down to Glasgow SECC with their three models and Jaye Mac on make-up and styling. The format in Glasgow consists of the stylists being scrutinised by judges as they finish their models back stage. The judges then spend a couple of hours getting up close and personal with the models. The models then walk the catwalk. 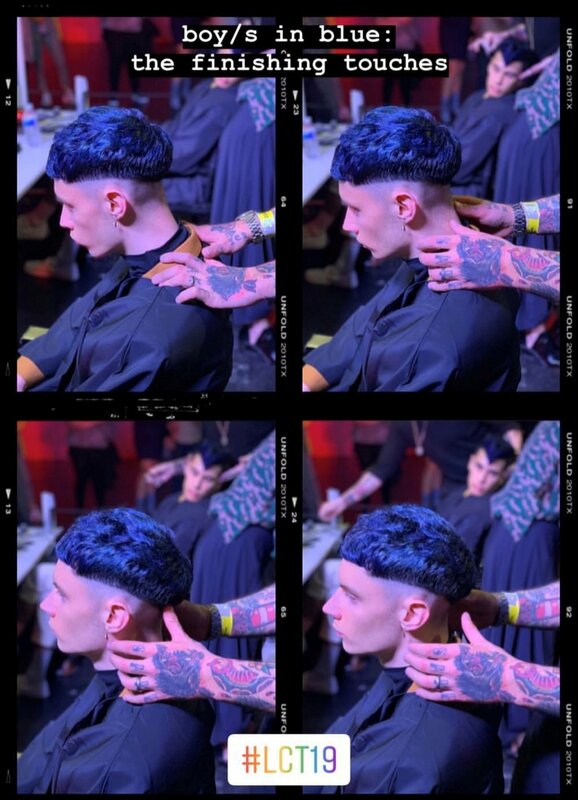 Cut Expert at Linton & Mac, Ross Hume teamed up with Colour Specialist Natasha McIntyre for the Men’s Image entry. Their model had a modern adaptation of 1970’s bowl cut, coloured an aquatic blue. Senior Stylist Jonny Brier, entered on his own in The Colour Trophy category with his model having a sleek bob, coloured to a tutti-fruitti yellow to coral bleed colour. And unfortunately, at the last minute our Senior Stylist Alison Simpson was unable to compete due to some details in the small print… her original entry had been a collaboration with our Cut Expert Natalie Stephen - but as the finals bring us dangerously close to Natalie’s due date in June, Natalie decided to bow out and let Alison compete on her own. This didn’t seem a problem, until it came to registering her model at the Glasgow finals - a shame for Alison, but she loved the experience and can’t wait to enter next year! The competition was fierce! 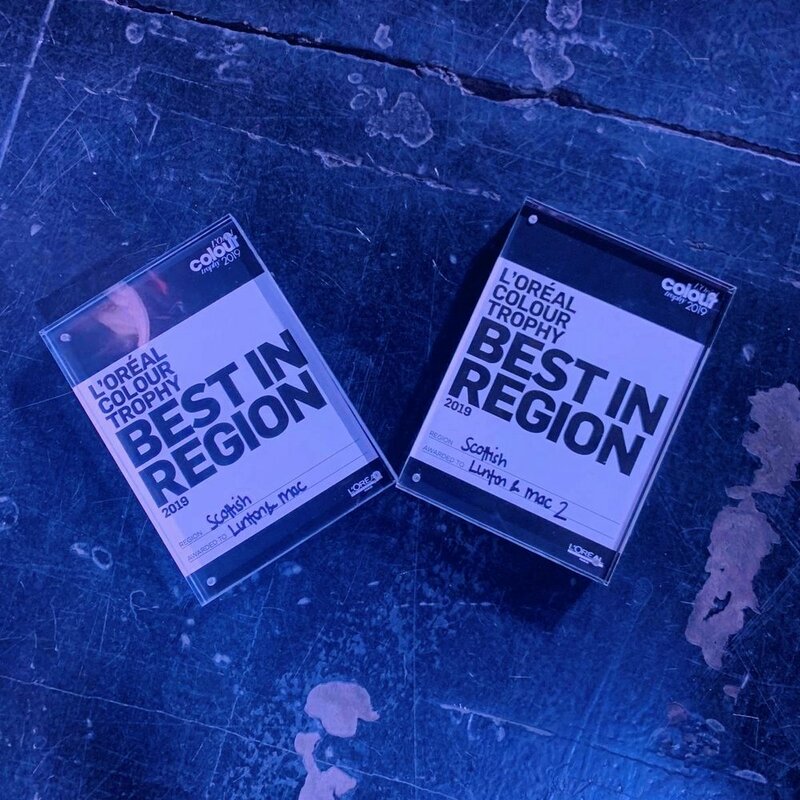 With the best of Scottish Talent, from all over the country… but our two teams who were allowed to enter, Ross & Tasha and Jonny - made it to the winners line up!! e are so proud of them ALL for bringing home TWO Best in Region trophies!! Pop your details in the box if you would like to be kept in the loop with all the L&M happenings…..! !